The Taos Blizzard (23-34) didnt stand a chance on Friday, as the Las Vegas Train Robbers (34-24) captured a blowout 13-3 win at Rodriguez Park. 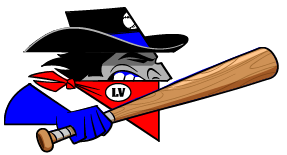 The Las Vegas Train Robbers scored five runs in the fifth on an RBI single by Joey Haskell, an RBI single by Adam Kam, and a three-run double by Ted LeMasters. Matt Grosso had three extra-base hits for the Las Vegas Train Robbers. He singled in the fifth inning and doubled in the fourth, seventh, and eighth innings. James Wong was hot from the plate for the Taos Blizzard. Wong went 3-5 and scored one run. He singled in the first and fifth innings and doubled in the sixth inning. Edison Alvarez recorded his seventh win of the year for the Las Vegas Train Robbers. He allowed three runs over six innings. He struck out three, walked three and surrendered six hits. Eric Berkowitz ended up on the wrong side of the pitching decision, charged with his first loss of the year. He allowed six runs in six innings, walked two and struck out two. The Las Vegas Train Robbers pounded the Taos Blizzard pitching, as seven hitters combined for 16 hits, 13 RBIs and 12 runs scored.